Mande has been appointed director general of CSIR, having served as director at the National Centre for Cell Science (NCCS), Pune, since 2011. 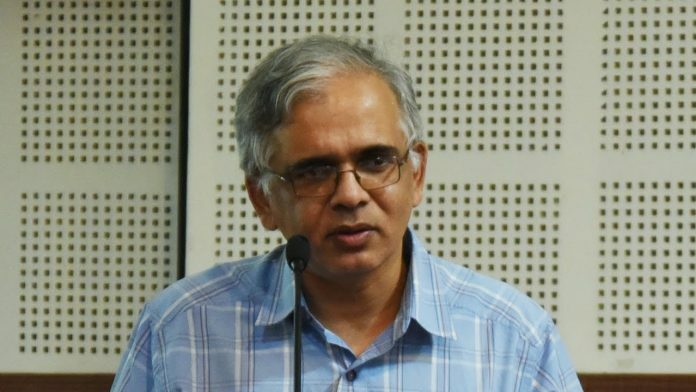 Bengaluru: Shekhar C. Mande, one of India’s leading experts in DNA fingerprinting and diagnostics, was appointed director-general of the Council of Scientific and Industrial Research (CSIR) Friday. He will head the 38 national research labs of CSIR located across the country, and also serve as secretary, Department of Scientific and Industrial Research. Mande was picked by the Appointments Committee of the Cabinet to replace biotechnologist Girish Sahni, who retired on 31 August. The 56-year-old Mande is currently director at the National Centre for Cell Science (NCCS), Pune, a position he’s been in since 2011, and is a fellow of all three major science academies: The Indian National Science Academy, the National Academy of Sciences India, and the Indian Academy of Sciences. He was also the 2005 biological sciences recipient of the prestigious Shanti Swarup Bhatnagar Prize, the apex science award in India, for his work in structural biology of proteins. Mande serves on several advisory committees for the government of India, including the Department of Biotechnology. He is the vice-president of Vijnana Bharati, a widely-known science outreach organisation. A structural biologist with a Ph.D. in molecular biophysics from Indian Institute of Science, Mande is also known for his work in crystallography. He is a life member of the Indian Crystallographic Association, and is chairman at the National Committee for the International Union of Crystallography. He was a post-doctoral fellow at the University of Groningen in the Netherlands, and a senior fellow at the University of Washington, Seattle. He joined as a senior staff scientist at the Centre for DNA Fingerprinting and Diagnostics (CDFD), Hyderabad, in 2001. At NCCS, which performs cutting-edge research in cell biology, Mande oversaw the launch of the Indian Human Microbiome Initiative in the Northeast in June last year. The project aims to sample 20,000 ethnically diverse Indians from the region for their bodily bacteria from stool, skin, and saliva. This data will provide insight into the varying bacterial colonies in human bodies according to ethnicity and lifestyle. Apart from understanding health and disease in the population, the bacterial samples will also be useful for potentially extracting new drugs to treat illnesses. Mande has a B.Sc. and M.Sc. from Nagpur University in physics, and was the recipient of the B.M. Birla Young Scientist Award in 1999. Mande’s appointment was welcomed positively by scientists and government officials across social media. There are great expectations from Science and a huge challenge ahead! An earlier version of the copy said Vijnana Bharati, of which Shekhar Mande is vice-president, was established by the Indian Institute of Science (IISc), Bengaluru. However, the science outreach organisation wasn’t established by the IISc, just started on their campus. The error is regretted. Proud to have you as a D.G. of a C.S.I.R. I am sure you will take this unique and prestigious Organisation to greater heights and meet the need and aspirations of common people of India.